Build a basic deck from start to finish. 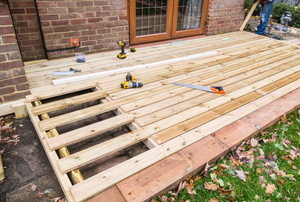 A deck rebuild is easier than starting from scratch, but still takes planning. 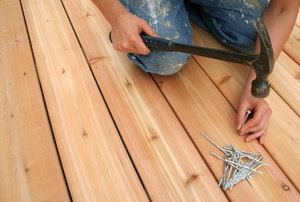 Before you can go about assembling your deck, you have to know how to choose the right materials in the right size. In this step of building your custom deck, you'll be focusing on how to properly construct a general deck railing. 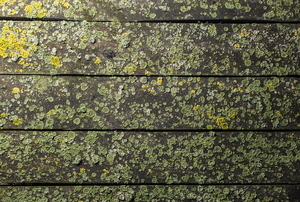 Learn the how to properly design your future deck. 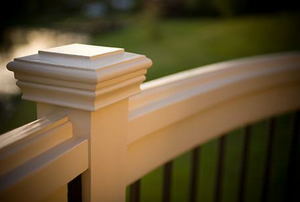 Deck railing completes the look of your deck. 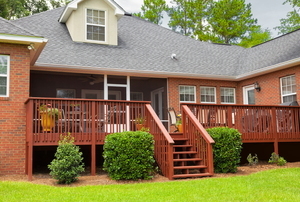 A home with a walkout basement can have a unique deck design. 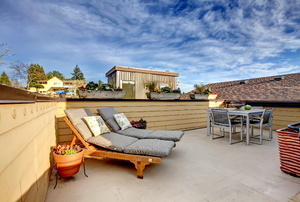 The pool is great, but add a deck and you have room to place food and drinks, plus chairs and sunbathing. This is a weekend DIY project. 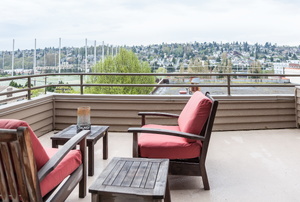 With a home deck design, there are several things to consider especially if you have a walk out basement. Margin of Error: 1/4" Most Common Mistakes Nailing the joist hanger on the wrong side of the mark. 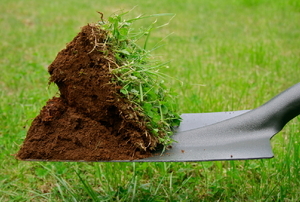 Margin of Error: 1/4” Most Common Mistakes Not measuring correctly to allow for mitered ends. 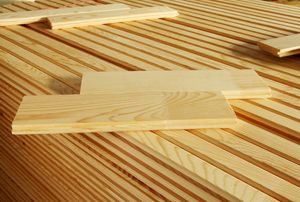 Margin of Error: 1/4“ Most Common Mistakes Joists not set at right angle from the wall. 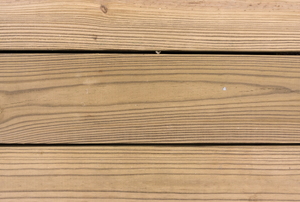 Before building or designing a deck, check out this article for some helpful planning tips and considerations. 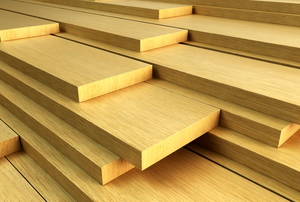 Learn about how you can get the best results when staining pressure treated wood. 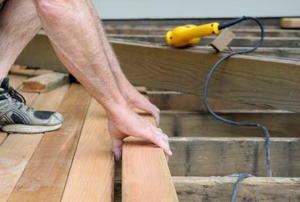 In this step, you'll learn to the proper way to give your deck a good, solid foundation that will last. 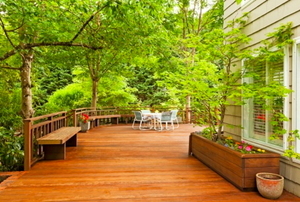 Create a recreational space over the slope on your property by adding a deck. 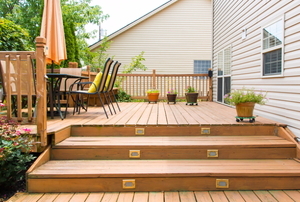 A ground-level deck is perfect for spending time outside with friends and family, and it is easy to build. Build the perfect storage space for your pool toys and tools. 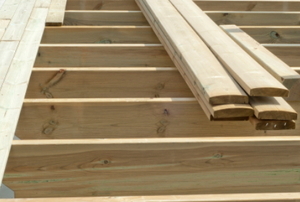 Learn about the general construction process of a free standing deck as a start to making your own. 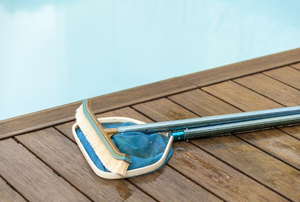 Reclaim your wood deck from the clutches of algae and fungus with the proper cleaning techniques. 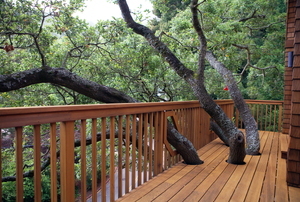 Sometimes it isn’t feasible to construct a permanent deck. 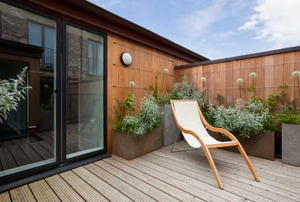 However, if you still want the space, you can try a floating deck. 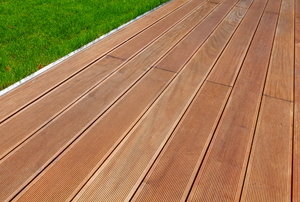 There are a number of advantages to composite tongue and groove decking for your backyard sanctuary.